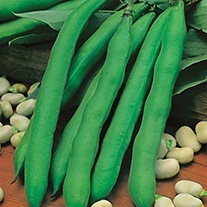 Broad Bean Seeds From D.T.Brown Vegetable Seeds. 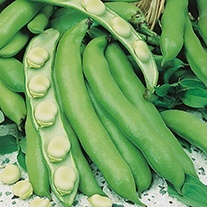 There are two main types of broad beans - longpods and Windsors (short pods). 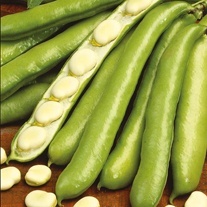 Longpods are hardier, so well suited to autumn and very early spring sowings, and their seeds are kidney-shaped. 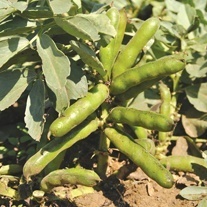 Windsor types produce rounder beans in shorter, broader pods. 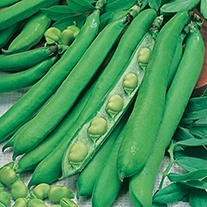 Several of the cultivars we still grow today have a long history. 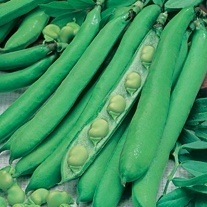 For example, Green Windsor was introduced in 1809 and Bunyards Exhibition in 1884. 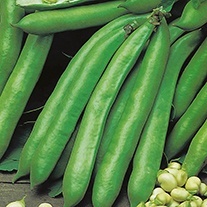 Broad bean seeds can be sown directly into the soil in the autumn (October to November) or from February to April in the spring. Late autumn or early spring sowings may need protection with our UV30 Fleece or with cloches, especially in exposed areas or if the weather is very cold. 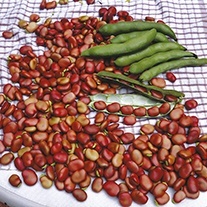 Alternatively start the seed off in Rootrainers indoors and plant out the seedlings from March onwards. 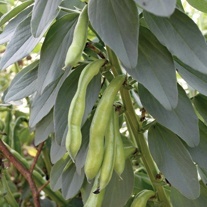 Broad beans grow best in reasonably fertile, well-drained soil into which plenty of well-rotted compost or manure (such as Orgro) has been incorporated. A sheltered site is best for autumn sowings, but spring sowings are fine in an open, sunny part of the garden. 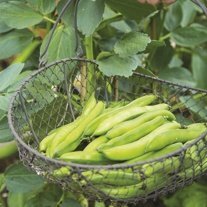 It is not advisable to grow broad beans in the same spot two years running, as this may encourage soilborne foot and root rot diseases. 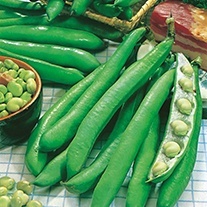 Sow outdoors to a depth of 5cm/2in. and space them at 23cm/9in. intervals in double rows 30cm/1ft. apart. 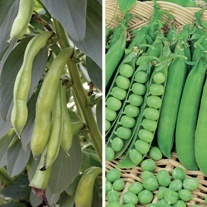 Taller varieties may need staking, shorter varieties such as The Sutton and Robin Hood will support each other. 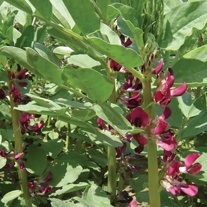 Once the beans begin to form, pinch out the tops of the plants to deter blackfly. 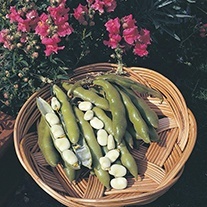 Harvest the pods once they begin to swell and pick the lowest pods first.